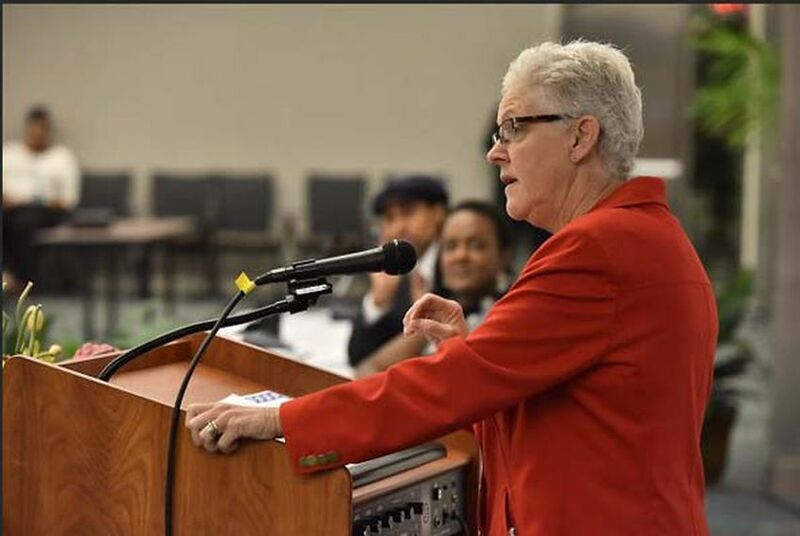 The head of the U.S. Environmental Protection Agency suggested that Texas leaders should play along with her agency’s sweeping Clean Power Plan, if only to avoid a more rigid carbon-cutting plan imposed by the federal government. Texas leaders should play along with President Barack Obama's sweeping Clean Power Plan, if only to avoid more rigid federal rules for cutting carbon pollution if it doesn't, the head of the U.S. Environmental Protection Agency suggested Monday. Her comments came after an address to the National Association of Regulatory Utility Commissioners, which is meeting in Austin. The Clean Power Plan, Obama’s most ambitious effort to combat climate change, requires states to slash carbon emissions from power plants however they see fit — speeding a nationwide shift from coal to natural gas and renewables. Texas must cut an annual average of 51 million tons of carbon to reach its federal target, a reduction of about 21 percent from 2012 emissions. Republican leaders aren’t happy, and they suggest the effort will increase electricity prices and threaten reliability on the electric grid. But state leaders have refused to say whether they will create a carbon-cutting plan in case they lose in court. If Texas flouts the rule, the EPA will impose its own plan on the state. The Tribune has asked the Texas Commission on Environmental Quality and the Public Utility Commission of Texas — two agencies that would carry out a power plan — for internal records of any deliberations. Both have refused, calling those records confidential. On Monday, McCarthy used her address to tout her agency’s cooperation with state officials before and after it finalized the Clean Power Plan in August and said some of the 4.3 million comments on the regulation's first draft triggered changes in the final rule. “It was input from states that made sure we did this thing right,” she said. Stan Wise of the Georgia Public Service Commission told McCarthy that effort to engage with states was “extraordinary.” He applauded the agency for addressing several of the initial concerns from his state, which still opposes the regulation and has joined Texas in its lawsuit. But Julie Fedorchak, chair of North Dakota Public Service Commission, told McCarthy her agency looked “anything but thoughtful from my state” after it drastically lowered North Dakota’s carbon target in its final rule. McCarthy encouraged anxious states to explore creative ways to transform their power sectors, such as joining in regional partnerships. She said the regulation provides “tremendous opportunities for flexibility."